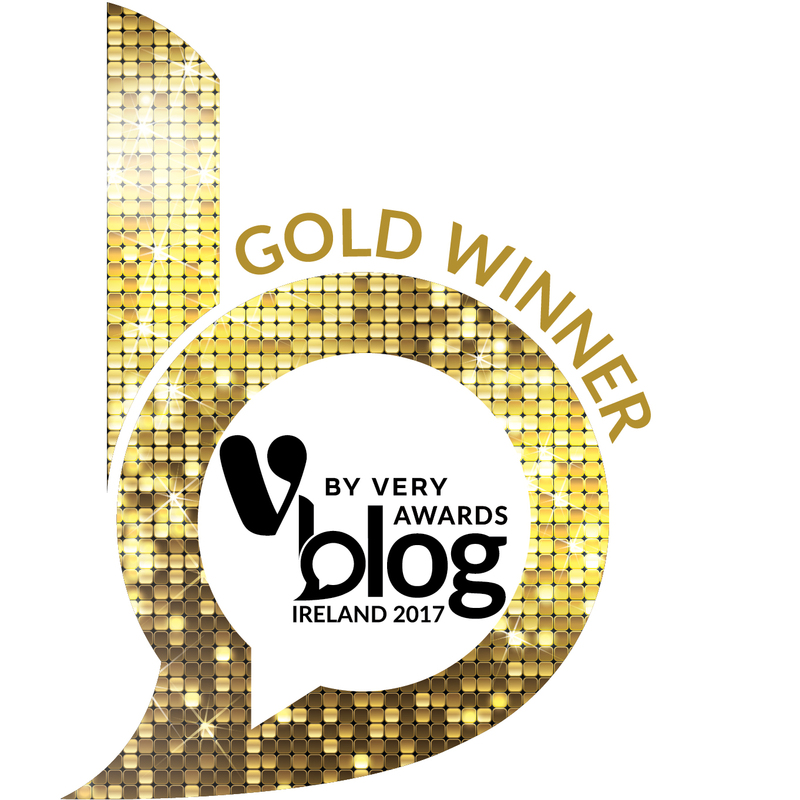 Bloc Voting at Eurovision – Shut Up About It. 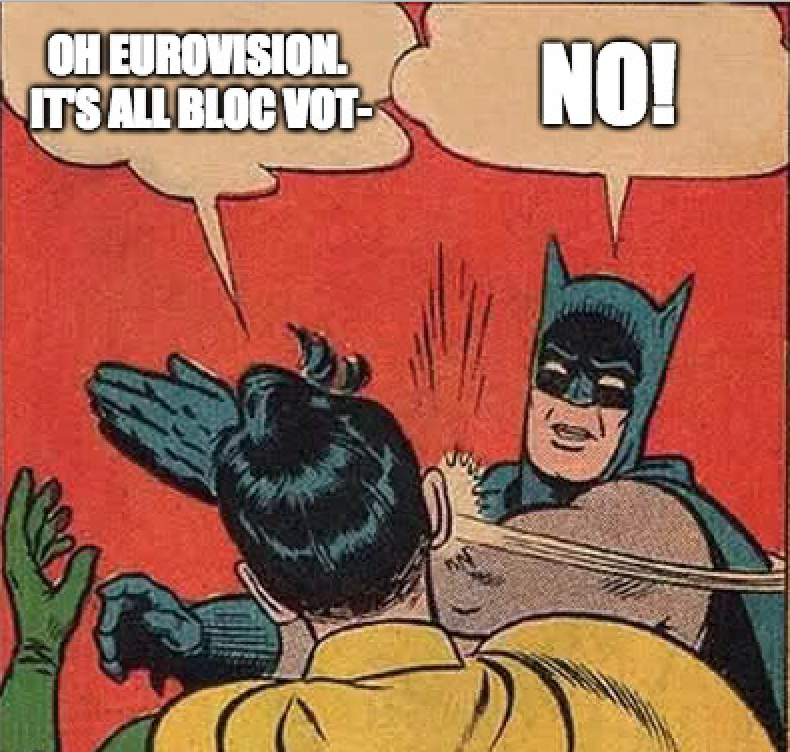 Every year, like clockwork, when the topic of #Eurovision comes along, there are the nay-sayers who dismiss the entire Contest in one fell swoop as being “all about who your neighbours are”, usually followed by bold declarations such as “it’s corrupt” and “it’s all about bloc voting”. Let’s talk about that a second and explain why anyone who thinks that is stuck in the past. It’s true. Eurovision, in the past (read: early 2000’s), was dogged by bloc voting… of sorts. But you need to understand why this was the case historically; we’ll get back to why it’s a myth at modern Eurovision Song Contests a bit later. 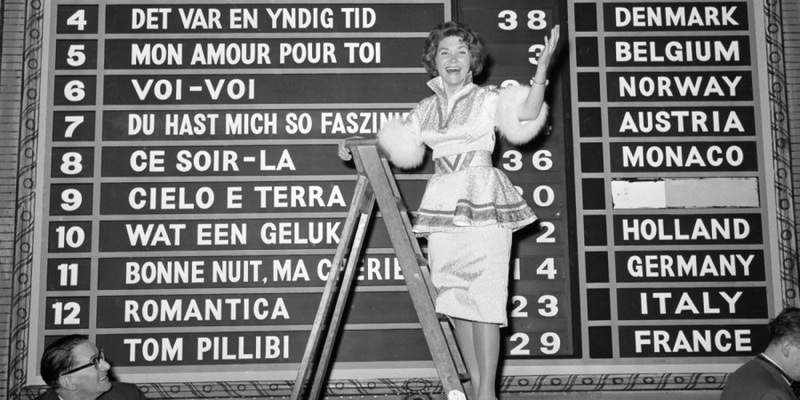 Eurovision voting over the decades hasn’t been without controversy. The voting procedures, rules and delivery has been changed many, many times, always evolving into its next incarnation. Pre-public vote (1998) it was solely national juries (handful of industry insiders from each competing country) deciding who got what points and there was a number of suspicious instances where the results following technical gremlins were different to those declared at the end – thus changing the result overall. The less said about that, the better. 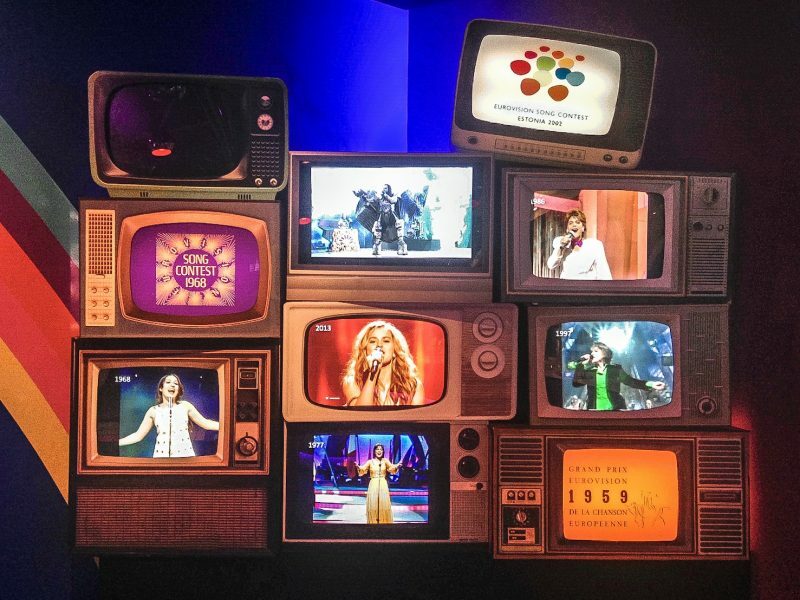 However, when televoting arrived to ESC, it coincided with a time of huge change across Europe. Borders were significantly changing across the continent and so the biggest musical contest in the world welcomed lots of new nations. Between 1998 and 2008 – 15 countries debuted in the contest, resulting in the introduction of various rules surrounding qualification for the final. Can you imagine the contest without the likes of Armenia, Macedonia, Latvia, Belarus, Bulgaria or Czech Republic? 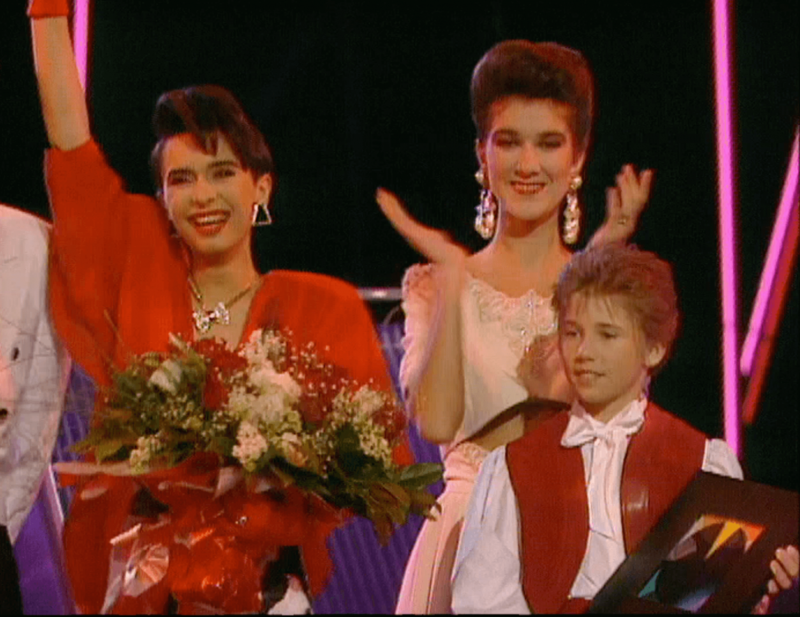 In fact, three future winners would debut during that time – Ukraine, Azerbaijan and Serbia! Serbia and Montenegro actually began as one nation until later competing as independent nations. Meanwhile, Andorra joined for a while and Lebanon was due to participate but pulled out. 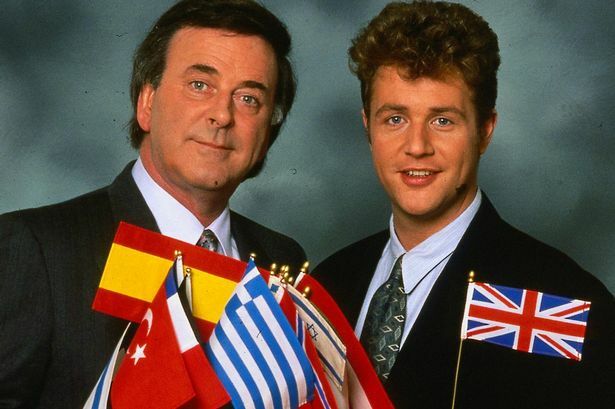 You could also argue that for the past 20 years Eurovision has actually been incredibly fair, as it was hosted by more new countries than ever before – if you disregard Sweden winning three times and both Ukraine and Denmark winning twice. So, why were these new nations emerging so significant? Well, in the history of the Contest no previous era saw a swell this big of new nations. While Britain sang ‘Puppet On A String’ and Ireland asked ‘What’s Another Year?’, both culturally and politically many of these nations as we know them today were bound together under confederations or unions. A number of former Yugoslav republics began to enter the contest as early as 1993 whilst former Soviet Union states only started to participate later in their independence. The reason we say culturally and politically is crucial to understanding how bloc voting worked. These countries were bound together for decades and as historical and geo-ethnical neighbours anyway, they naturally share some customs, traditions and tastes in music, food and creative expression. As would happen, these nations have similar mindsets and often stick together. Much like the the Nordics (Scandinavia + Finland and Iceland), but even more so the Scandinavians (Sweden, Denmark, Norway). You could also argue the case of Greece and Cyprus; Moldova and Romania; Ireland and the UK; The Netherlands and Belgium; Spain and Portugal. These countries are close and share common histories – naturally what appeals to one may well appeal to others likeminded. A border, however, is not an open pass to get “douze points”. Countries such as Armenia and Azerbaijan have never passed each other a single solitary point at Eurovision, owing to an ongoing conflict between the two over the former Nagorno-Karabakh region of Artsakh, claimed by both and disputed in international recognition as being an independent republic. 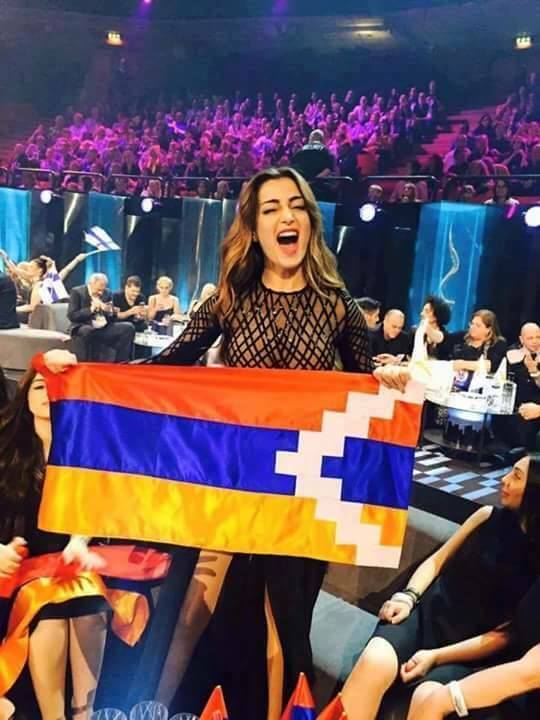 Armenia flared Azerbaijani tempers (and boiled Eurovision producers’ blood pressure) with a banned flag broadcast during the 2016 contest. 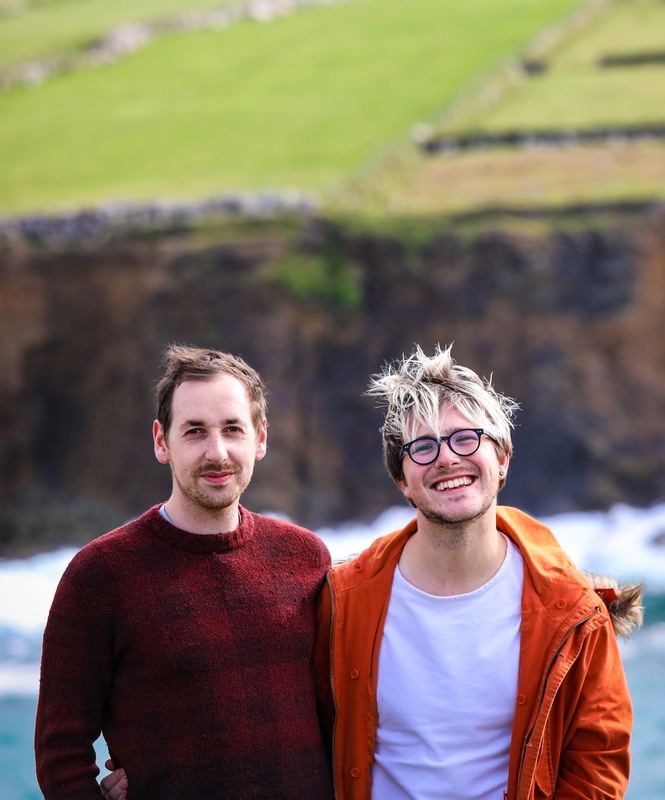 Close ties can go against countries too, there’s often uproar in United Kingdom when Ireland doesn’t reciprocate (and true, Ireland historically has awarded far less points to the UK than the UK has given to Ireland) – though those 800 years of oppression against the Irish by the UK might come into play in that one. Another major point to raise is that around this time, when televoting was finding its feet as the means to tally up Eurovision votes, it eradicated the jury from the final marking for a period of time between 2003 and 2009 (though they continued to have a jury as a back-up in the event of telecommunication issues). So, now the European voting public in its entirety had the choice of what song they enjoyed without industry experts having half of the say. While this felt like a fair and true empowerment of Europeans, it could also be debated as having extremely damaged the reputation of the Eurovision Song Contest. Many people remark about Terry Wogan’s famous strop after Russia’s win in Serbia in 2008 – very much the moment when the bubble burst and soon after he announced his departure as the BBC’s Eurovision commentator for the United Kingdom. 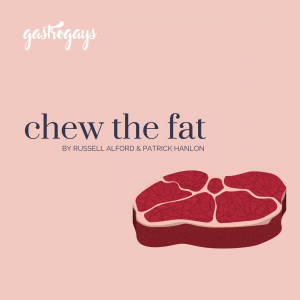 It’s well known that Wogan had become tired, irksome and grumpy in his commentary in the early 2000’s – and with good reason. You see, a great commentator will reflect and mirror the feelings of their particular audience. Wogan knew what was going on and could see the competition descending into what seemed like a corrupt, closed contest of neighbour states patting each other on the back. Results were becoming more and more predictable, and as someone who had been privy to over 30 different Eurovision broadcasts as commentator on TV and Radio, you can understand why he, along with many others, felt wary and tired of this emerging trend. Now, this is a subjective one – but wasn’t the quality around the early 2000’s diabolical? Many argue that this era had a distinctly central European ‘Europop’ vibe and annually became more of a ‘who can outdo the other’ in terms of theatrics or gimmicks. Western Europe wasn’t afraid to join in too, and had to keep up appearances to even stand a chance – the less mentioned about Dustin the Turkey, the better! However, it’s been remarked as the ‘Dark Days’ of the Contest where everything went a little awry and viewers switched off in their droves. It’s commonly held among fans that once Jon Ola Sand, the current EBU Executive Supervisor of the Contest, took the reigns in 2011 that he made huge strides in returning the Contest to its former glory and creating a truly global spectacle we have before us today. It’s worth remembering that this period of time did produce some iconic songs and winners – from Lordi’s Hard Rock Hallelujah for Finland to Ruslana’s Wild Dances for Ukraine. Sertab Erener’s one and only win for Turkey and Helena Paparizou’s one and only Eurovision trophy for Greece. While personal opinions may differ, a majority of the winners from this time did so not by chance, but by getting the most points from across all voting nations. Despite Sir Terry Wogan’s frustration in 2008 when Dima Bilan won, a victory wouldn’t have been entirely possible without gathering points from 38 of the participating countries. Worth stating right here: It would take a huge conspiracy theory or Europe-wide corruption to ‘fix’ a Eurovision Song Contest result. 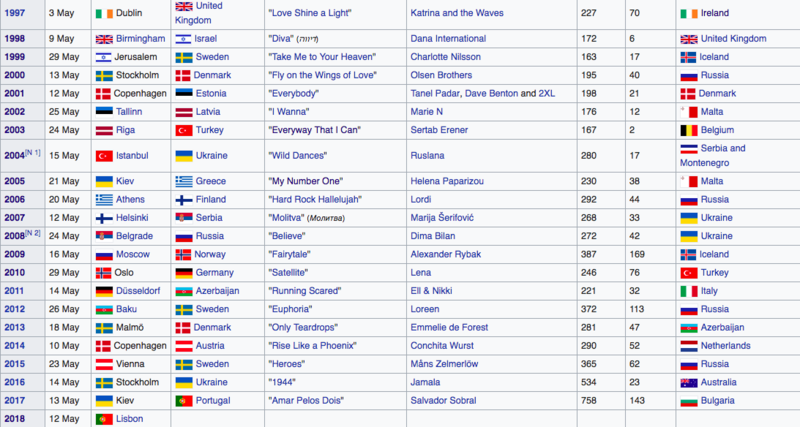 The next time anyone says anything about bloc voting in modern Eurovision, just remind them that the contest was won in 2017 by Portugal who had never even made it within the top five in 52 years of competing. They won on their 53rd year, with a song in a native language with only one bordering country – Spain. Salvador Sobral received the most points EVER awarded in the Eurovision Song Contest and he did so from a huge variety of European countries. 12’s from 23 different countries (either from the public votes or jury votes, or in some cases both). Bloc voting may have happened in the past in some small ways, but it is 100% resigned to the past in this present day. So, Bloc Voting? Yeah, shut up. Next Post Djurgården, Stockholm – More Than Just Vasa and Abba!